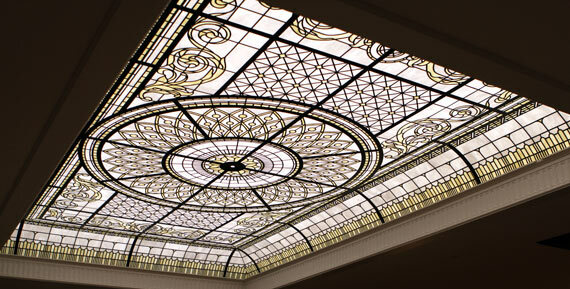 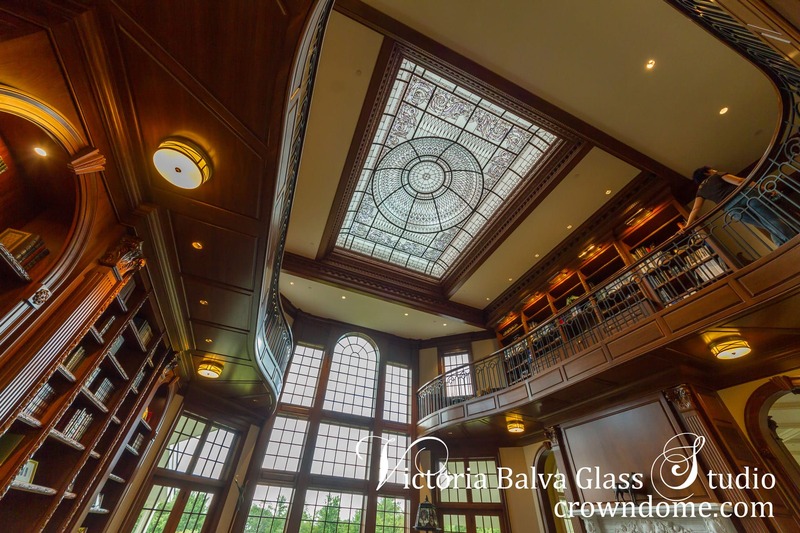 Large-scale stained and leaded glass dome lay light ceiling with a complex frame structure for a double height great room of a custom built luxury residence in Connecticut, USA. 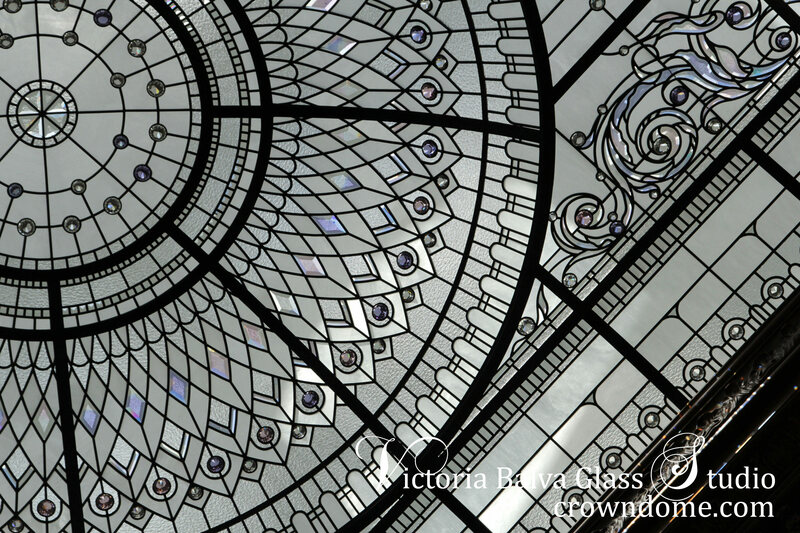 Delicate elusive colours of glass selected for the project add mystery and inner glow into glass dome design. 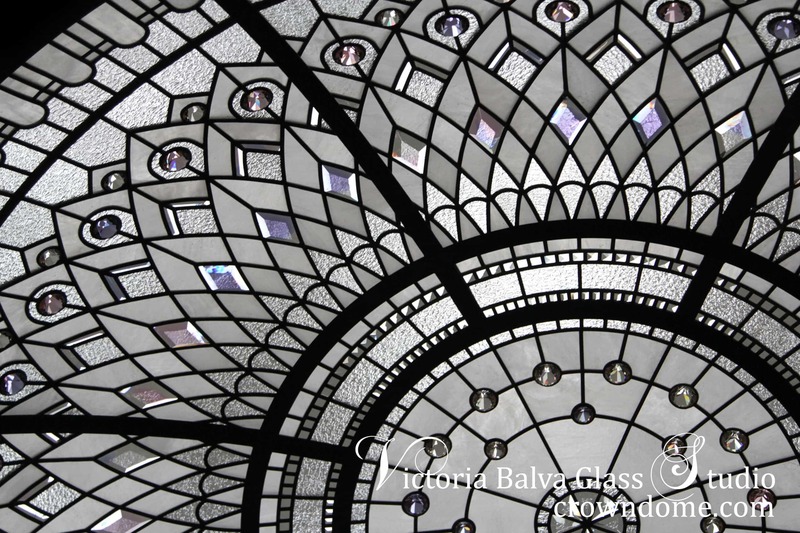 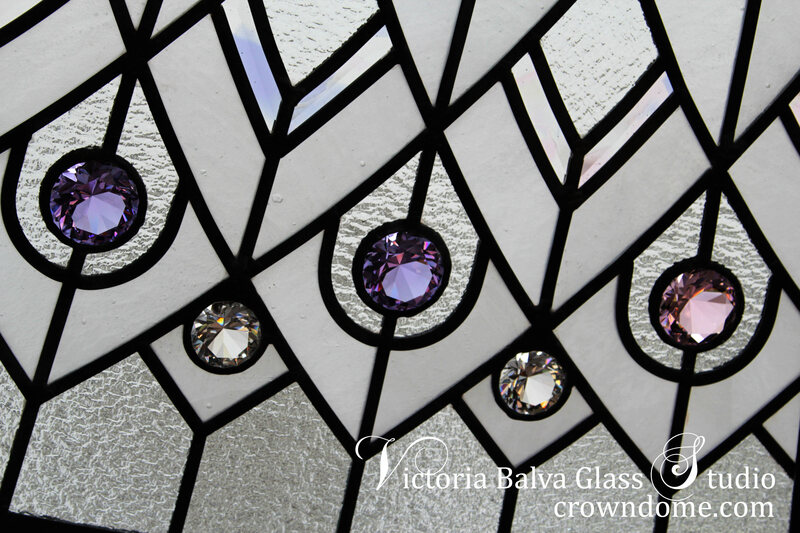 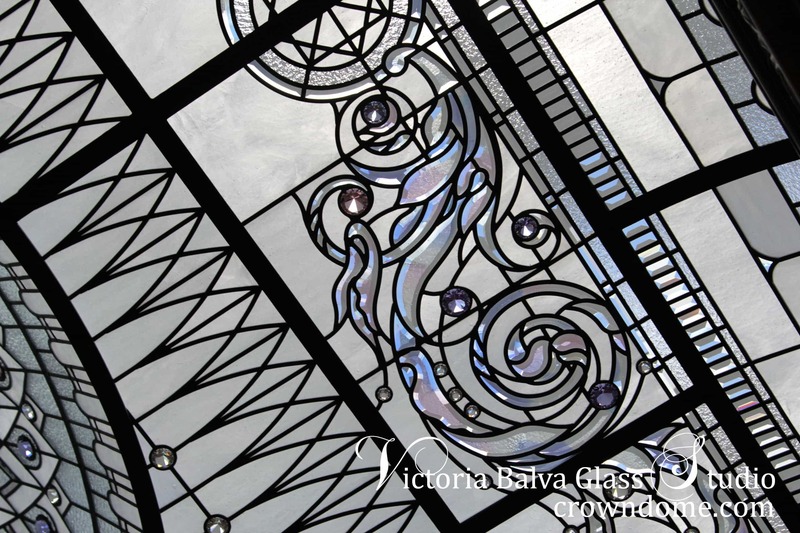 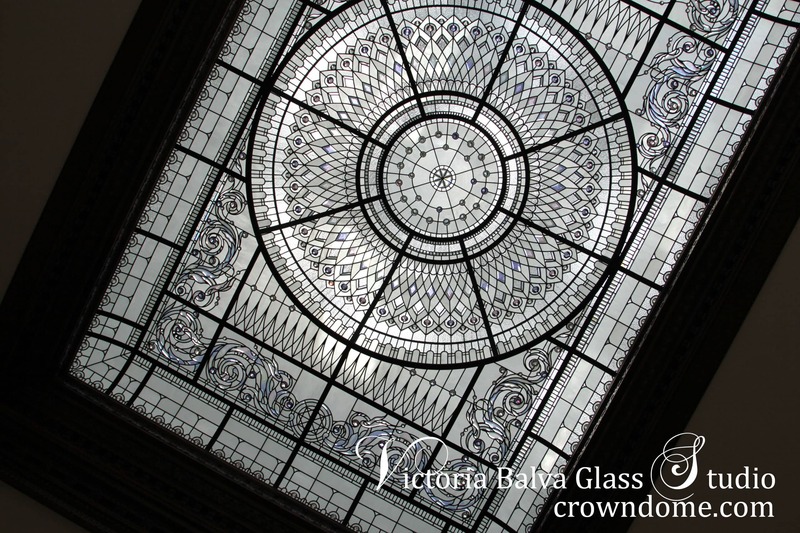 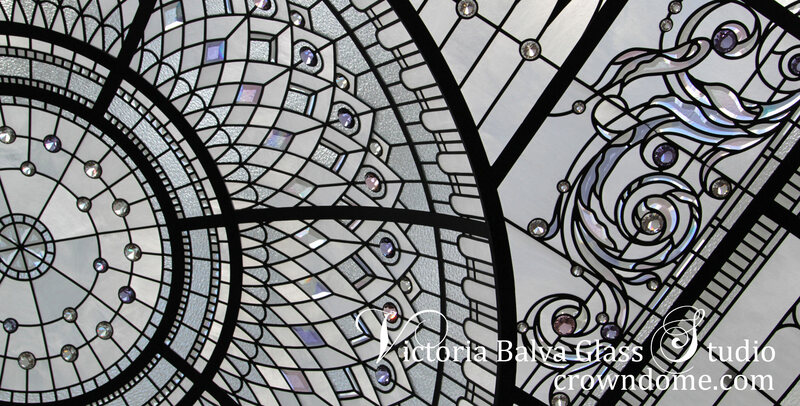 A massive set of thick custom bevelled glass and CNC polished crystal jewels create visual dynamic accents to the leaded glass dome. 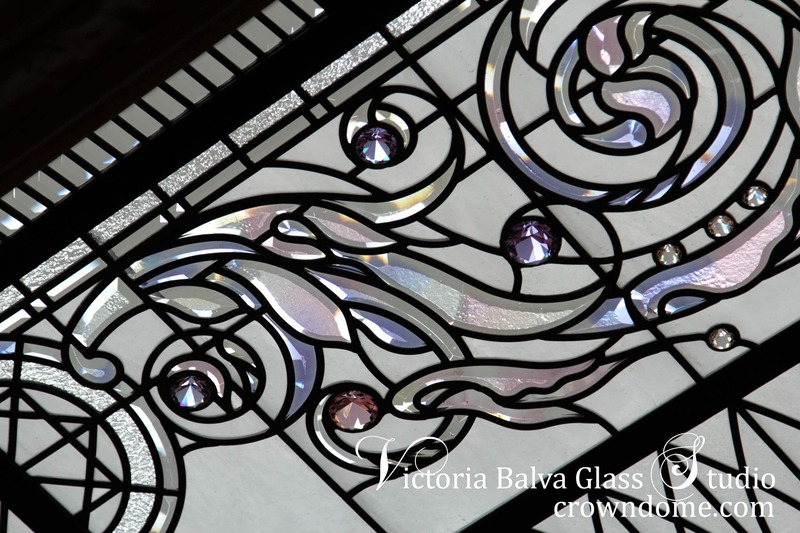 Custom made bevelled glass with a tender colour shift was formed in large computer controlled kiln, water jet cut and processed by an experienced master bevelled. 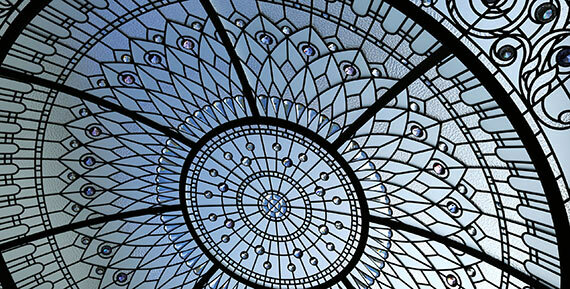 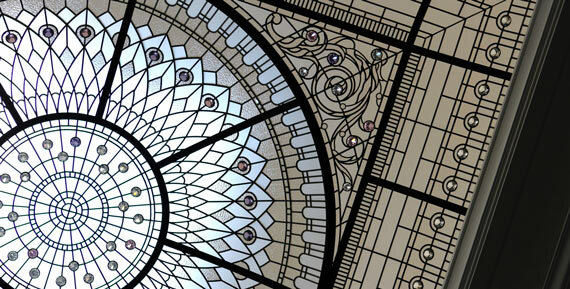 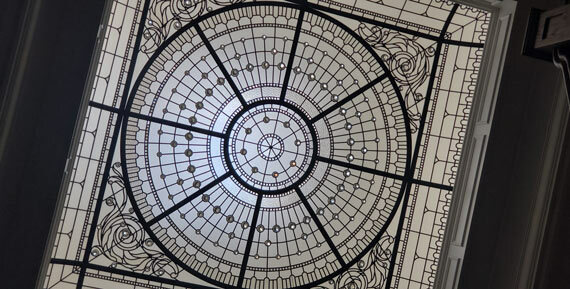 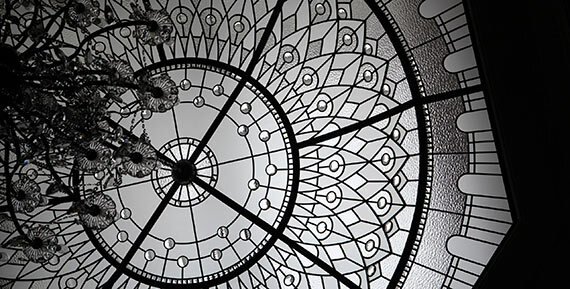 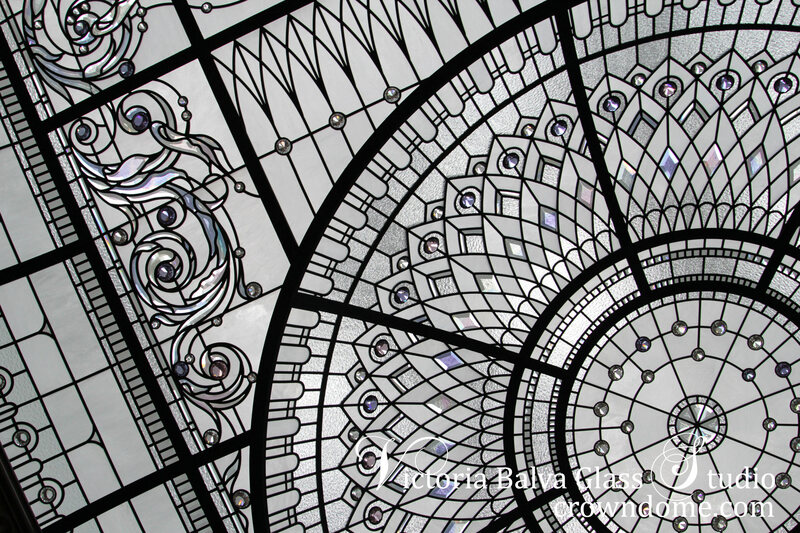 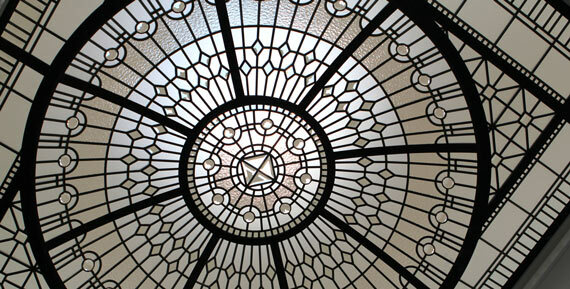 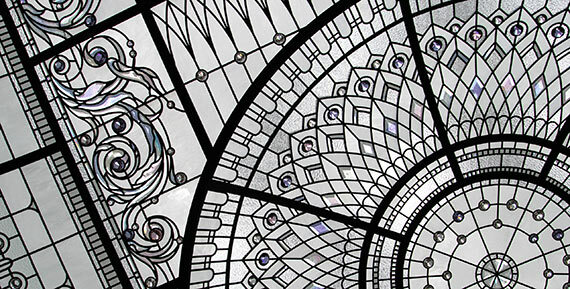 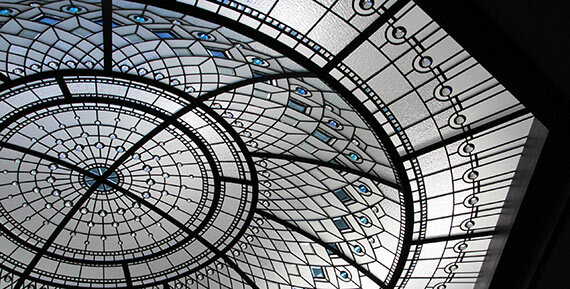 New Haven leaded glass dome is made of more than 7 000 pieces of glass and 20 000 pieces of lead parts. 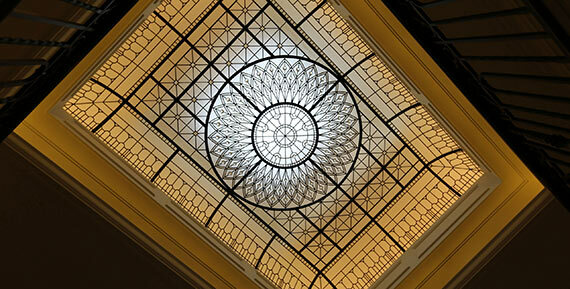 All designed, cut, assembled and soldered into one large glass canvas of a complex glass ceiling structure.